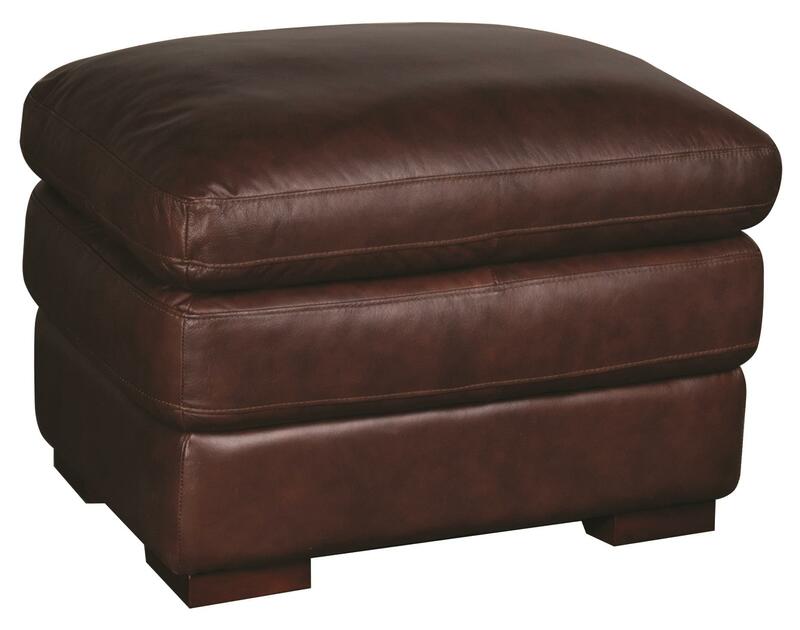 This chic ottoman has a modern feel and classic comfort, and is a good match with many different colors and decor styles. 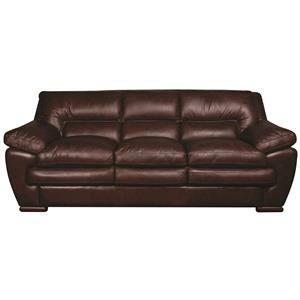 The Austin 100% Leather Ottoman at Morris Home in the Dayton, Cincinnati, Columbus, Ohio, Northern Kentucky area. Product availability may vary. Contact us for the most current availability on this product. Seat Support Infinite directional, commercial furniture grade webbing is used in our seats and backs. This suspension system is the same system used in the airline and aerospace industry and ensures the individual support of every seat, evenly distributed weight, increased comfort and durability. 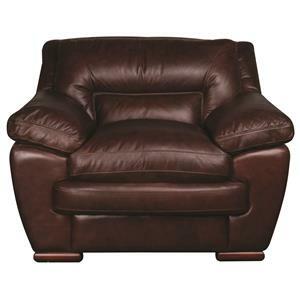 The Austin collection has a modern feel and classic comfort, and is a good match with many different colors and decor styles. 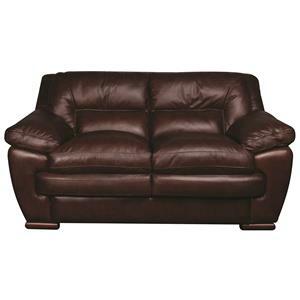 Enjoy the comfort of this sofa, and love the resilient seat created by the high density foam padding and the feel of soft supple leather. This stylish collection features contemporary design accents like square attached back, pillow top cushions, and flat wooden block feet. Additionally, this collection has padding to cushion and cradle the lumbar region of the back, helping to relieve lower back discomfort. 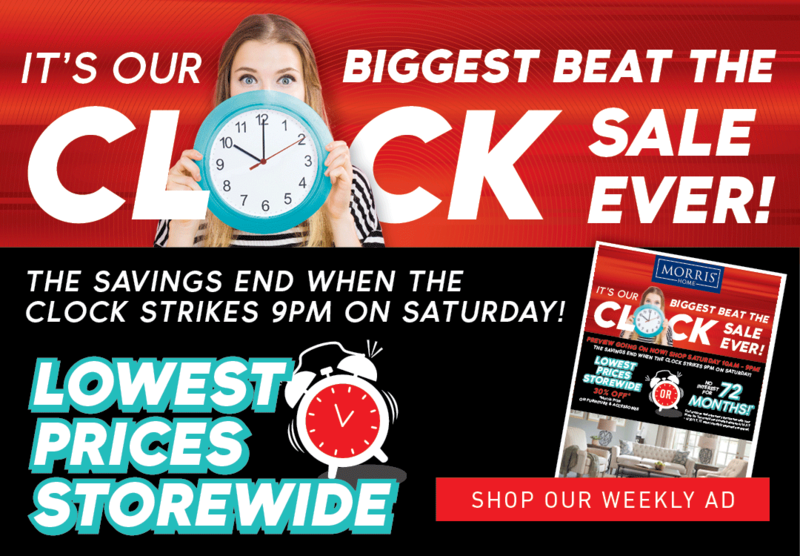 The Austin collection is a great option if you are looking for furniture in the Dayton, Cincinnati, Columbus, Ohio, Northern Kentucky area. 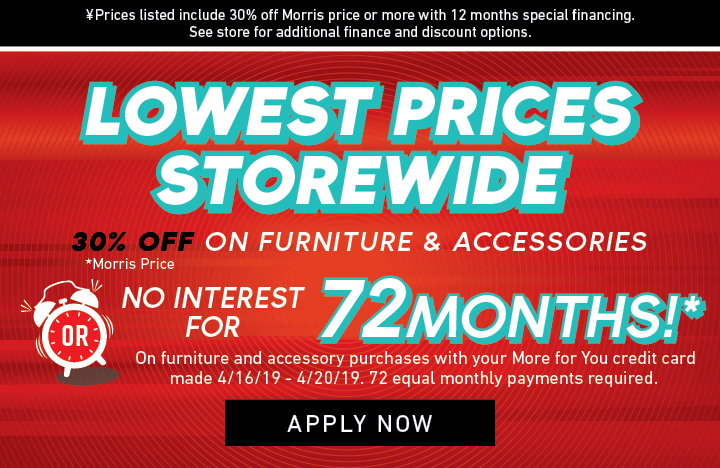 Browse other items in the Austin collection from Morris Home in the Dayton, Cincinnati, Columbus, Ohio, Northern Kentucky area.